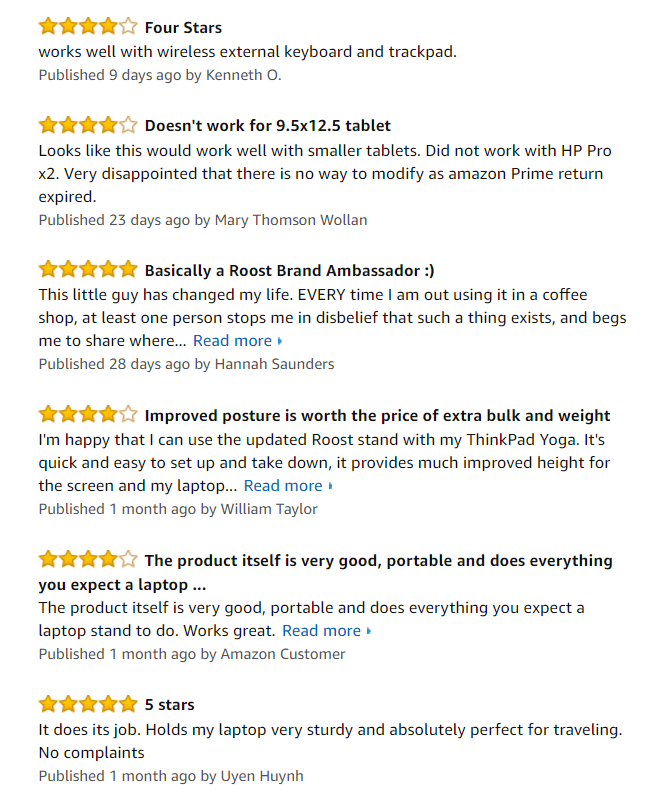 Reviewing the Roost Laptop Stand. 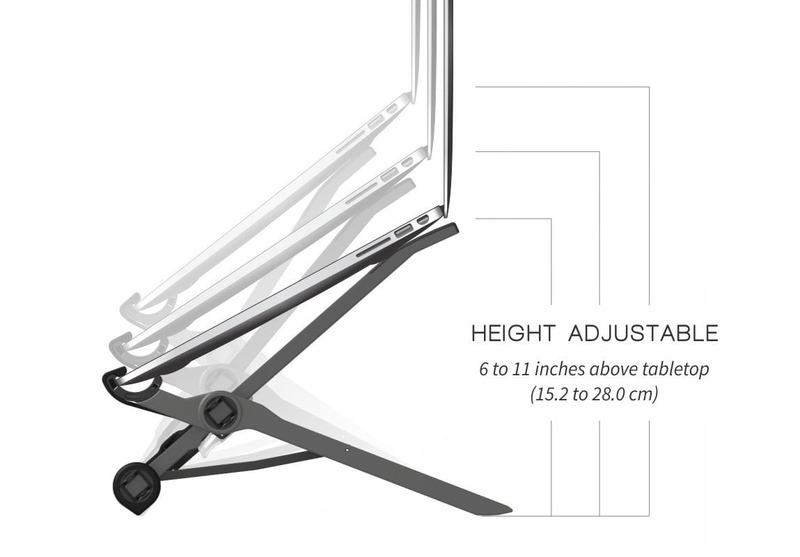 Roost is a lightweight, adjustable, portable laptop stand. It might look like a very simple stand, in fact, it actually is, but its weight, size, portability, and ease of handling and carrying around might make it the perfect choice for a lot of people. In this piece of content, we’re going to review the roost laptop stand and all of its features, advantages, and disadvantages, and most importantly, who is it for, is it suitable for YOU? Or perhaps you’re better off with a different stand? Let’s figure all this out together. The Roost’s Specifications & Dimensions. Just from the image itself, we can learn a lot already. But also, it might give the impression that it’s a bit unstable, could be wobbly with certain laptop sizes and weights, maybe not durable enough, and so on. Of course, these are only first impressions and speculations. We’ll dig deeper into more details and benefits to really understand what and who is the Roost laptop stand for. Click to check it on Amazon and see all 300+ real customer reviews. 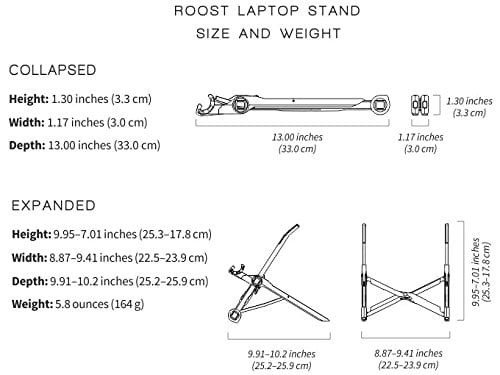 This image explains everything about the size, weight, and overall dimensions of the Roost laptop stand. The height and width are ~1.2 inches (~ 3cms), while its depth (the depth it extends to) can reach up to 13 inches (~ 33cms). That’s enough to fit into any kind of bag and its weight: 5.8 ounces (1.6kg), makes it probably the most portable, most lightweight laptop stand I’ve ever seen. But this doesn’t come without disadvantages! Basically, you need to make room for ~9 inches (25cms) in all directions. That’s still really small as the laptop’s own dimensions would probably be bigger. This makes it quite a stand for space saving and minimalistic design. 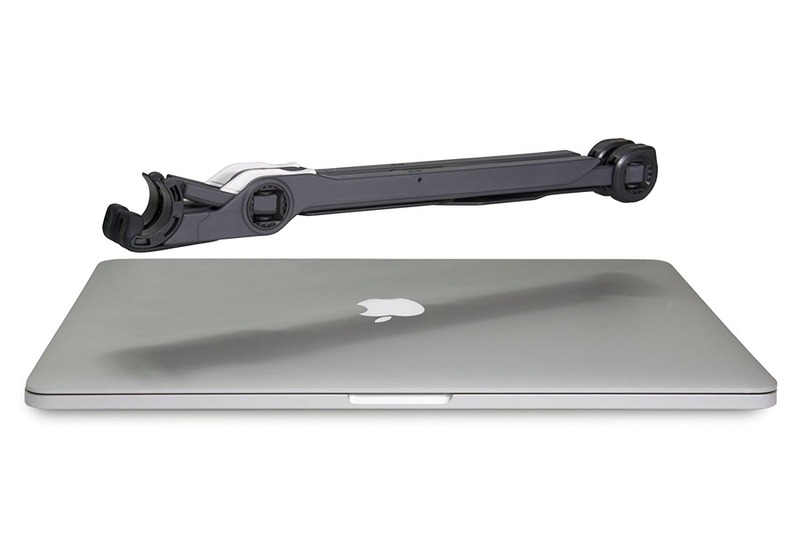 A really small, lightweight laptop stand that you could carry with you easily without hassle. Very compact, easily foldable, and doesn’t require much of a space for both storing and regular daily use. 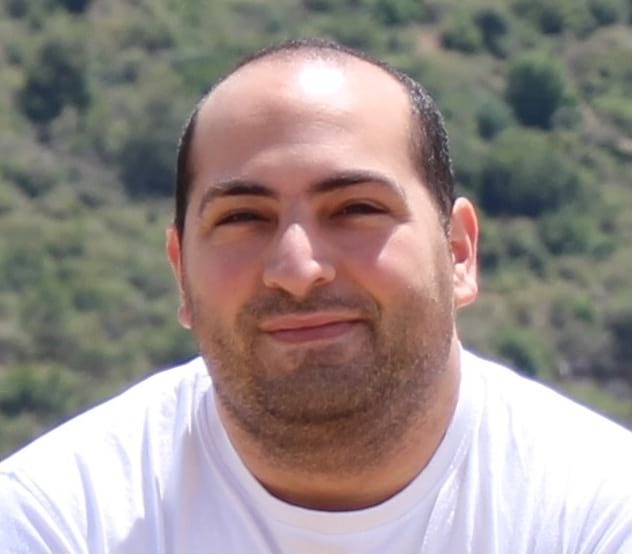 About The “Roost” Company and its Founder. 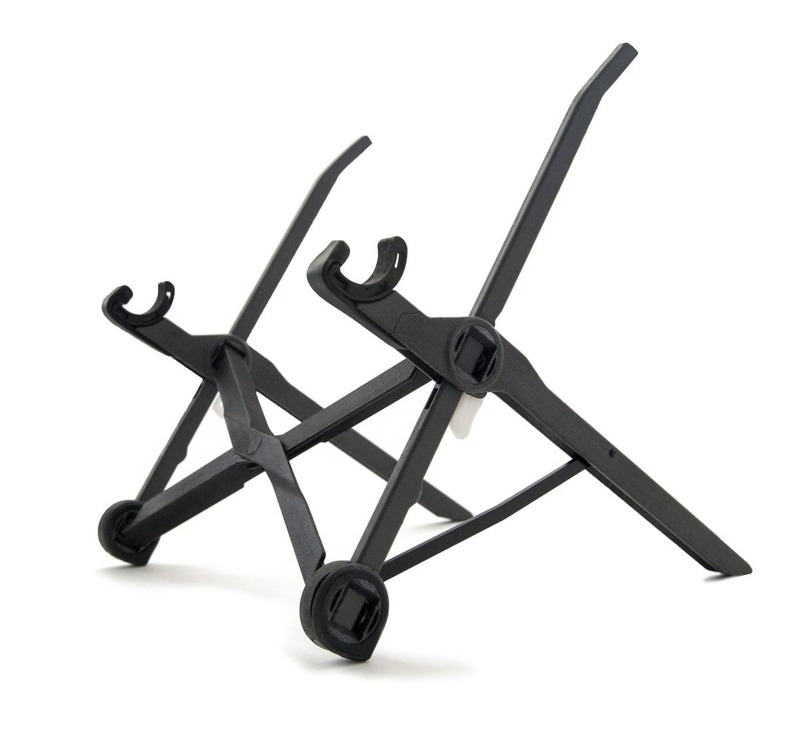 Roost is the name of the company, and the product itself – The roost laptop stand. 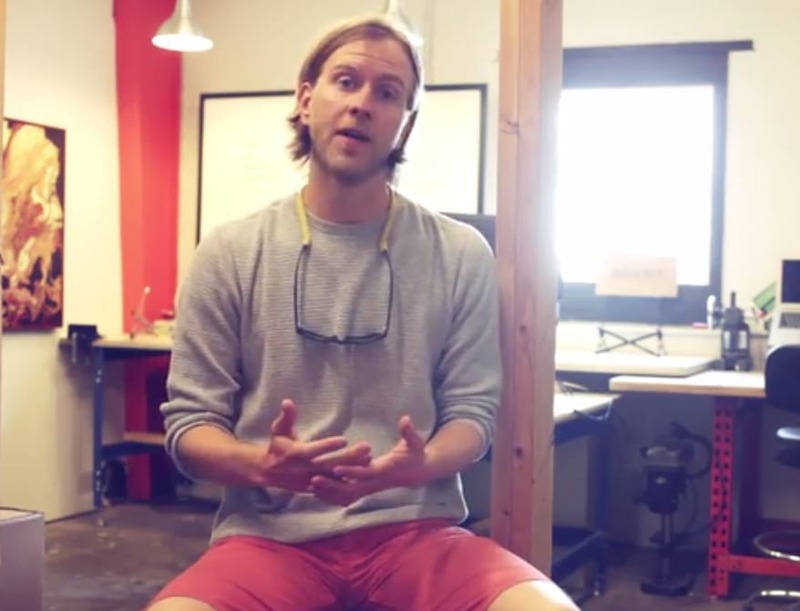 The Roost, as a product, was actually launched as a Kickstarter campaign in an attempt to fund the manufacturing fees of the first wave of Roosts. This is typical behavior for small companies or individuals that don’t have a budget but still insist on bringing their ideas to life because they believe so much in them, and believe in the solutions that they entail. So many of the highly successful products that you find on Amazon and elsewhere, were actually once Kickstarter (Or other similar organizations) campaigns. 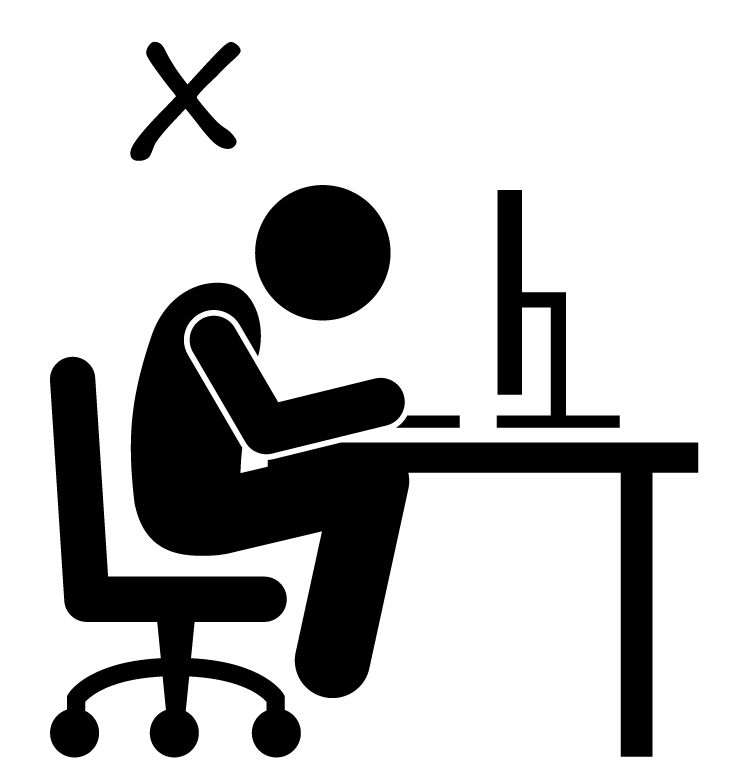 The creator of the Roost, an engineer called James, claims that he created the Roost out of necessity because he couldn’t find a proper stand or table that’ll enable him to work on his laptop comfortably and without hurting his neck or back – A common problem for anyone working on laptops and PCs for several hours straight. 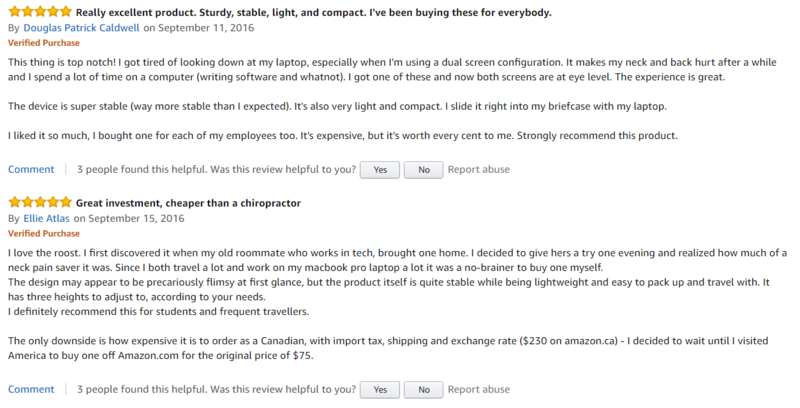 I’d like to challenge that as I disagree, there are a few good laptop stands out there that I do recommend, and offer a great deal of usability and portability at the same time. But, other than that, hats off to James for his creativity and entrepreneurial spirit. Does it Fit My Laptop? One of the most common questions when buying something like this is: “Does it fit my laptop?”. Of course, you don’t want to waste your money on a stand that wouldn’t fit nor stably hold your laptop. It has patent-pending pivoting grips that are made to automatically adjust to fit the front edges of your laptop. These grips fit laptop edges of 0.75 inches (1.9cm) thick or less. That’s enough to include almost all of them. Unless you have something extremely special with bizarre dimensions, I wouldn’t worry about it. As for the weight limit, the roost can hold over 50lbs of weight comfortably. That’s way more than enough for a laptop or a MacBook pro. THE ROOST IS VERY VERSATILE IN TERMS OF “COMPATIBILITY”. Special Features and Customer Feedback. We’re at a point in the review where we should start discussing features, capabilities, and usability, and try to analyze everything in order to come to a proper conclusion as to whether this stand is suitable for you personally or not. We know that this stand is “legit”. Meaning, it’s not some randomly designed and manufactured in china product. 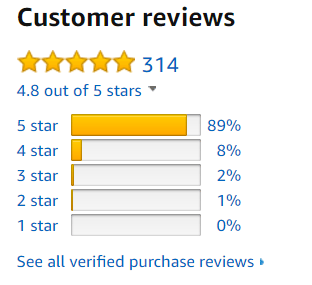 If you’re new to Amazon rating, in a nutshell: Anything above 4 is considered great. The best ratings are in the range of 4.5-4.9. With 3 – 3.5 to be considered “mediocre” ratings. The roost, despite its extremely simplistic and minimalist design, packs several noteworthy features that you should know about. The first Roost that came out, did not have an adjustable height, and also, you couldn’t close the laptop while it’s still laying on the stand. The second Roost, Roost 2.0, which is this one we’re reviewing here, fixed those two issues, plus other little “annoyances” that Roost 1.0 had. The Roost laptop stand (2.0) now has the height adjustable feature which is capable of extending the stand anywhere from 6 to 11 inches. To be honest, this is a very important feature that I have no idea how they did not implement it in Roost 1.0. I mean, being able to adjust the height of the screen to fit a proper level with your face and shoulders is one of the main reasons people buy stands like this. Anyways, we’re not here to discuss Roost 1.0. I’m just glad that they realized the importance of being able to adjust the height of the stand, and implemented it immediately on their next product upgrade. Adjusting the height of the stand, not only does it provide comfort, but also helps save lots of neck pain, stiffness, and even back pain to some degree. With this said, what’s the proper screen height then? 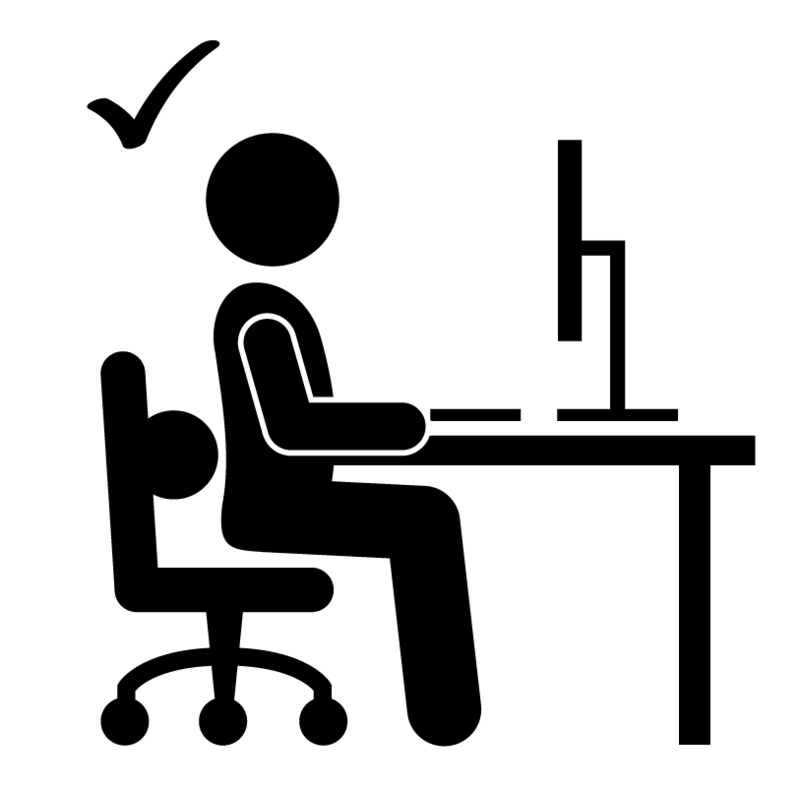 Use the laptop stand’s height adjusting feature to match the correct level as shown in the illustration above, depending on your seating (or standing) position. Extremely Easy to Fold, Extremely Portable. Perhaps the biggest “plus” about this stand, is how ridiculously easy it is to fold and move around. And when folded (Collapsed), as we showed earlier, it becomes so small that no bag or storage box is too small for it. This functionality is especially useful for students that find themselves moving around very often at home trying to find a comfortable studying spot or just to change the “environment” every now and then. Very often students do this because it helps them break up the long, routine studying hours that eventually result in wearing them down and prevent them from keeping up focus. Having a stand so portable and quickly foldable at your disposable will encourage you to actually move from your spot and try other spots around the house or in the library. NOT every student have this habit, but if you’re one of them, this stand could be very handy to you. Similarly, having this level of portability would be useful, of course, to people that travel a lot and depend on their laptop or Mac for work. What I Liked About it, And What I Didn’t. 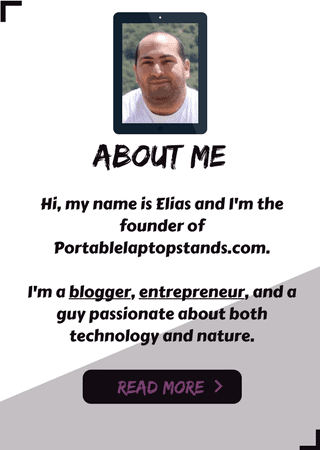 With a weight of only 5.8 ounces, 3-seconds folding time, and extremely small and compact design while still being considerably sturdy and stable enough for almost all laptop types and MacBooks, it’s very hard to find another stand that would compete with the Roost in portability. The Roost is priced at around $70 at the time of this review. The price has been stable for a while now without any change and I’m not sure that I like it. For half of this price, you can get a portable laptop table that has more features and more space for a mouse and maybe your coffee too. Nevertheless, despite the good materials used to create this stand, and despite its portability and ease of use capabilities, I still feel that the price is a bit too high. Perhaps $49 is a more fit price for this stand, maybe even $39. But that’s just my own opinion. And because of how it’s structured and built, you can’t use it to work on bed or on the sofa/couch, which is a huge disappointment for someone like me who loves to use his laptop for work and networking in places and positions such as these. If you’re like me, you might want to pass on this product and maybe give the Avantree laptop stand a try. 90 DAY MONEY BACK GUARANTEE: 100% Satisfaction Guaranteed. We stand behind the Roost. If you are not satisfied with your Roost for any reason, you can return it for a full refund within 90 days of purchase. Contact sales@therooststand.com with your Order # to process the return. The product comes in a compact, rectangular box just enough to fit the Roost in collapsed position, so the package is pretty slim and compact as well. Inside the package, the Roost comes with a simple black carry pouch with the Roost’s logo on it that you can use to store the stand in it and protect it from dust or unnecessary scratches, as well as prevent it from scratching other, more sensitive devices while in close proximity, especially while traveling. The Roost laptop stand (2.0) is very slim, compact, lightweight, and thus, extremely portable and easy to handle and work with. It’s perfect for very busy people like students and entrepreneurs that rely a lot on their computer, and require a simple stand that’d allow them to quickly fold and unfold it, and adjust its height for proper body posture. It’s not the most versatile laptop stand that I’ve seen, as you only have something like 3 levels for height adjustment, and basically, you can’t do anything else with it except holding your laptop on it. There are other laptop stands that also act as a table with big enough space to put a mouse on top, while still being able to adjust its height and tilting angle. These, of course, will weight considerably more than the Roost and take more space. That’s a trade off you have to consider, too. The price is also a bit high for me, I wished it was in the $50 range, but unfortunately, in its current price tag of $70, I’d personally think twice before I purchase it, considering all the other, many options out there that offer similar or better capabilities with half the price. A very slim, portable, simple stand that’s made to solely hold your laptop or Mac with 3 levels of height adjustment. 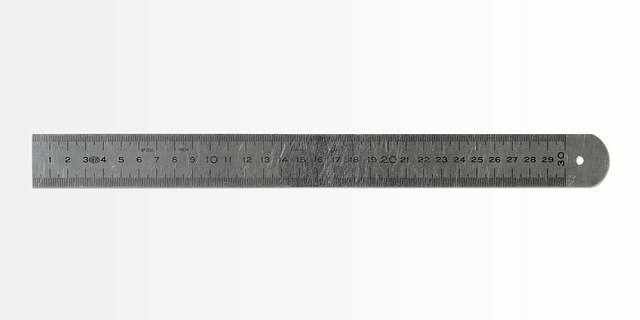 Although its slim and simple design, many customers have reported that it’s surprisingly sturdy and reliable enough for its job. Verdict: Recommended for certain situations.